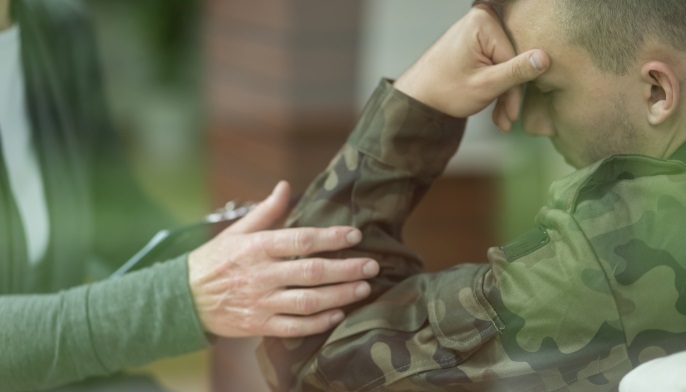 PTSD symtoms may be reduced in veterans with the use of HIRREM. 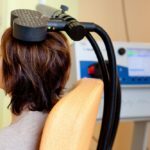 HealthDay News — Service members and veterans show reductions in post-traumatic stress (PTS) symptomatology, insomnia, depression, and anxiety with use of high-resolution, relational, resonance-based, electroencephalic mirroring (HIRREM), a closed-loop, allostatic, acoustic stimulation neurotechnology, according to a study published online in Military Medical Research. Catherine L. Tegeler, from Wake Forest School of Medicine in Winston-Salem, NC, and colleagues reported clinical, autonomic, and functional effects after HIRREM use for symptoms of military-related PTS in 18 service members or recent veterans. Participants underwent 19.5 sessions over 12 days. Before (Visit 1 [V1]); immediately after (V2); and at 1, 3, and 6 months (V3, V4, and V5) after intervention completion, inventories for symptoms of PTS, insomnia, depression, and anxiety were collected. The researchers found that there were clinically relevant, significant reductions in all symptom scores at V2, which were durable through V5. Significant improvements were seen in multiple measures of heart rate variability (HRV) and baroreflex sensitivity (BRS), as well as reaction testing. 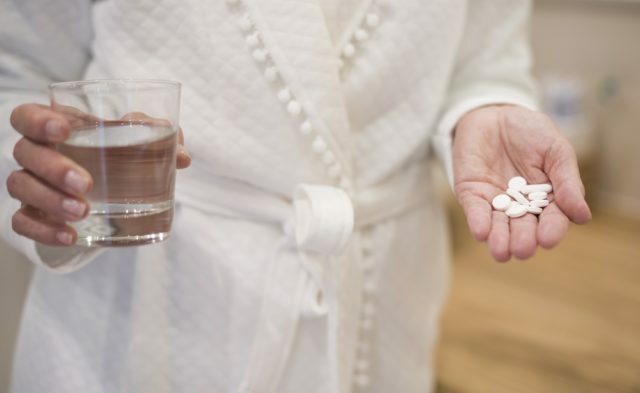 There were also trends toward improved grip strength and decreases in C-reactive protein, angiotensin II to angiotensin 1-7 ratio, and interleukin-10. There was no change in DNA n-methylation. No dropouts or adverse events were reported. Two authors are employees of Brain State Technologies.